It might be time to start giving head college football coaches the benefit of the doubt, again. Why? Well, for starters, Chip Kelly sent the NFL offseason into a frenzy with a flurry of moves that many people couldn’t or didn’t want to understand. Of course these moves happened a year after an offseason in which Chip Kelly had already made moves others couldn’t or didn’t want to understand. Then came the predictable chorus from naysayers. That last statement very well could turn out be true; but I’m here to tell you that the days of the Steve Spurrier-esque College-to-NFL head coaching flops might be coming to an end. Mostly because of the resounding success recent coaches (Kelly included) who have recently made the jump from college to the pros are having almost immediately upon entering the league. 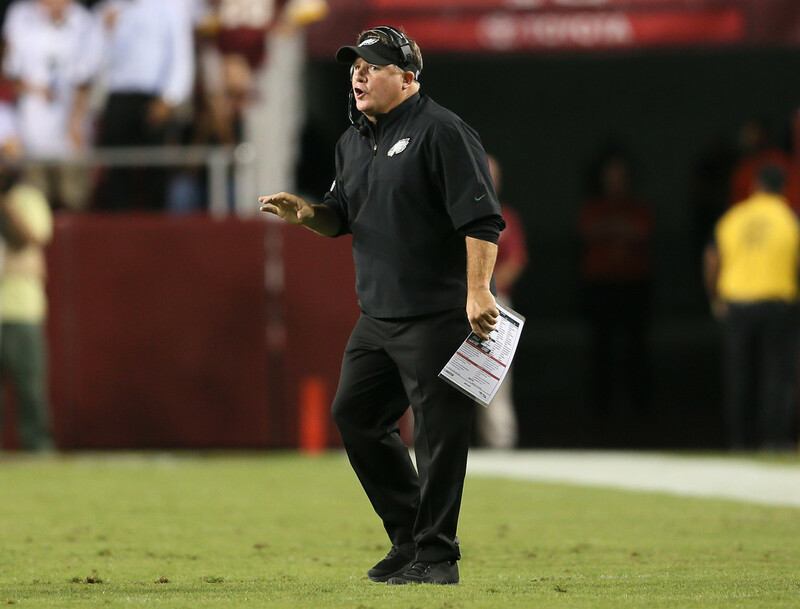 Chip Kelly (Oregon) is 20-12 in two seasons in the NFC East. Jim Harbaugh (Stanford) was 44-19 during his time in San Francisco. Pete Carroll is 50-30 in Seattle following his reign at USC. Bill O’Brien (Penn State) went 9-7 his first season in Houston. Doug Marrone (Syracuse) went from 6-10 year one in Buffalo to 9-7 last year before leaving his post; just the second winning season in Buffalo since 2004. Between them they have combined to win 1 Super Bowl, 3 conference championships, and 6 division championships. Without mincing words NFL front offices have gotten smarter in their coaching hires. The NFL hasn’t reached the analytical levels of Major League Baseball or the NBA quite yet, but the owners and the men and women they choose to run their organizations have started to figure out that there is a right and a wrong way to allocate your resources on and off the field. In order to monitor that, they need personnel capable of overseeing that operation. In other words, coaches need to be the CEO’s of the franchise on the field. Coming from the college game head coaches are used to dealing with a lot of different issues on and off the field. That’s why building the right culture and having the right fit for that culture is so important. What that also does is pose a threat to the “Star” player; hence why LeSean McCoy continues to gripe about the trade that sent him to Buffalo. Take 2014: when Chip Kelly began remaking the Eagles roster to his liking the most high-profile name to be let go first was Desean Jackson (released), and to hear players tell it, they had already begun to see what to expect of the new culture. “I can’t speak on his [Jackson’s] behalf,” Maclin said. “Whatever that situation is, is what it is. They don’t — [owner Jeff] Lurie, [general manager] Howie [Roseman], Chip — they’re not calling down us, asking us, ‘Do we need to do this, should we do this.’ That’s not what it’s about. It might seem simple enough as a concept, but not every team does it. That’s why the same teams every year continue to fall behind: they aren’t looking at the entire picture or culture. That’s where the college mindset of a “program” comes into play. That’s why Percy Harvin was shipped out of Seattle. Lesean McCoy and Desean Jackson from Philadelphia. Alex Smith shipped out of San Francisco. Andre Johnson from the Texans. It’s about “fit” and the priorities of the organization. Kelly’s major additions this offseason were linebacker Kiko Alonso and cornerback Byron Maxwell. Kelly’s teams have 10 wins in each of his first two seasons with defenses that have ranked near the bottom. At Oregon Kelly’s teams weren’t known for having stout defenses. I pin that more on geography than Kelly; recruits know that if you want to get picked in the first-round or considered elite defensively the league you want to be associated with is the SEC or ACC because that is where the best defensive coaches are. The dynamic in the pros are in Kelly’s favor (and the favor of the other coaches listed) in that they all know how to put points on the board, now they have the ability to clear cap space (i.e. free up money) and pay for the players to keep opposing teams from scoring. What puts Kelly at the forefront of the discussion is that the moves he has made put him in a situation where he can’t mess this up because of the names involved. Agents, players, coaches, owners, executives, and everyone in between will see this makeover of the roster based on culture flourish or fail and either take note or take shots. The NFL is a copycat league, so if O’Brien, Kelly, Carroll, Marrone, and the like can put together teams based on systems rooted in defense and the confidence that no one can outscore you while saving money on “Stars” you’re going to see everyone start to dip into that college coaching pool a lot more often. Kelly will have the microscope on him this draft. Judging how he has handled everything to this point I would say he is just fine with it. Follow Because of Sports to receive notifications of new podcast episodes & posts by email.